On November 27, 1978 there was an assassination in San Francisco. 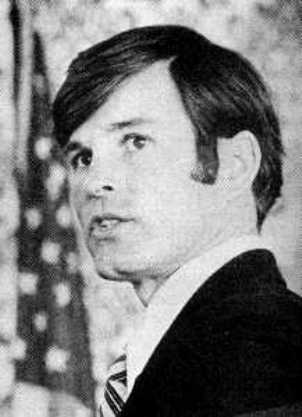 Harvey Milk, the first openly gay city supervisor, and Mayor George Moscone were gunned down in cold blood by newly resigned city supervisor Dan White. Thirty years later Hollywood is making a movie about it. MILK. 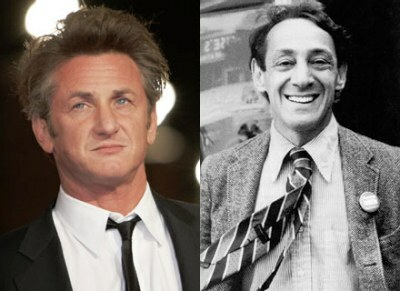 Sean Penn has been tapped to play Harvey Milk, and James Franco will be Scott Smith; Harvey’s partner at the time of his death. The assassin Dan White will be portrayed by Josh Brolin; Emile Hirsch and Diego Luna will be playing two of Harvey Milk’s ex-boyfriends. It is being reported that Sean Penn and James Franco seriously considered living together in San Francisco while filming the movie, but scheduling conflicts would not permit it. Anything Hollywood – Sean Penn & James Franco Are Gay Lovers!?! previous post: Heath Ledger’s Autopsy Tells Us Very Little. I worked on this a week ago Monday – we were filming a recreation of the first Castro Street Fair, circa 1972. I’m impressed with all the people involved in this project and think this film is going to turn out to be a fitting tribute to Harvey’s legacy. From the one day I filmed with them I have to say I was impressed with Penn & Franco’s performances. Friday was my fourth day on set. Scrap that – it was my 3rd NIGHT on set. We recreated the famous candlelight march sequence and it was magic. However, shooting until 5:00am takes a toll on a person – I’m still recuperating and praying for no more night shoots! Yay JCW! I’m so excited to know someone in this film. I already had in mind to see it, but now I will for sure. It sounds like you’re really enjoying the experience. Be sure to have fun for me! It’s been a pretty special set to work on – perhaps because so many involved in the filming are doing it for more than money or screen time. 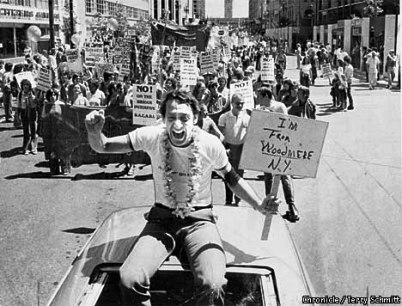 I suspect that this film will finally help earn Harvey Milk the place of honor he deserves beside great visionaries such as Martin Luther King and Susan B. Anthony. To date, his contributions to the civil rights movement have been largely ignored by the general public. Thrilled as I am to be involved, I still hope for only day shoots for the remainder of production – granted, that means getting up at 2:00am to be there by 5:00, but it’s still better than doing a 14 hour night shoot. FYI – on average, out of a 12 hour day, approximately 7 hours are spent dressing and waiting…. No wonder so many actors do drugs. I live in San Francisco and I’m a BIG fan of James Franco. Have you met him? What is he like? I’ve worked in close proximity to Franco but have never spoken with him. From my observation point he seems nice, very low key, and pretty down to earth. Out of seven working days, I think I was on set with him six. He is perhaps smaller than you might expect – every member of the cast is shorter and more slight of build than they appear onscreen. Important that I note that my lack of communication with Mr. Franco on set was not due to any class system or snobishness on his part, but due to the fact that I’m not particularly a fan and had nothing pertinent to say to him. This drove my sister crazy – she thinks he’s hot. head nods as we walked side by side and he seems perfectly nice and normal. Again – I’m not immune to feeling the urge to talk to someone I’m a fan of, it’s just I’m not a fan of Franco. I recognize – and have seen – that he’s a good actor….. I guess he just doesn’t “do it” for me. If it gives you any pleasure to know, he has really lovely skin, and his hair is cut short and died an odd shade of blonde which I assume is for photographic purposes. He wears a wig for much of the production. As we drove in a van to the set and he was seated in front of me, a friend who was looking to change his hair color asked me if Franco’s shade would suit him. I told him it was like Lucille Ball – looks good on film, not intended for real life. In the end – seems nice, no “attitude” that I could discern. I admire his conduct on set, enjoyed filming scenes with him and will certainly make an effort to see more of his work. He’s done a great many low budget indies – that would seem to indicate an actor worth watching! I also worked on the set of Milk. I was fortunate to be in scene with James Franco Sunday. The very first thing I noticed about him was what beautiful skin he has. It’s like really amazingly beautiful. He seemed very nice. He joked with us extras and was quite funny and smiled the whole time he was with us (well not during his scene, seeing as it was fight with Sean Penn). He has a great smile too. All in all he seemed very nice and I think I have a new crush. 51 queries in 0.902 seconds.